Apologies for the underwater-soundedness of the microphone this week! I must have had it on some weird setting and not noticed. I’ll make sure to double check my settings next time. 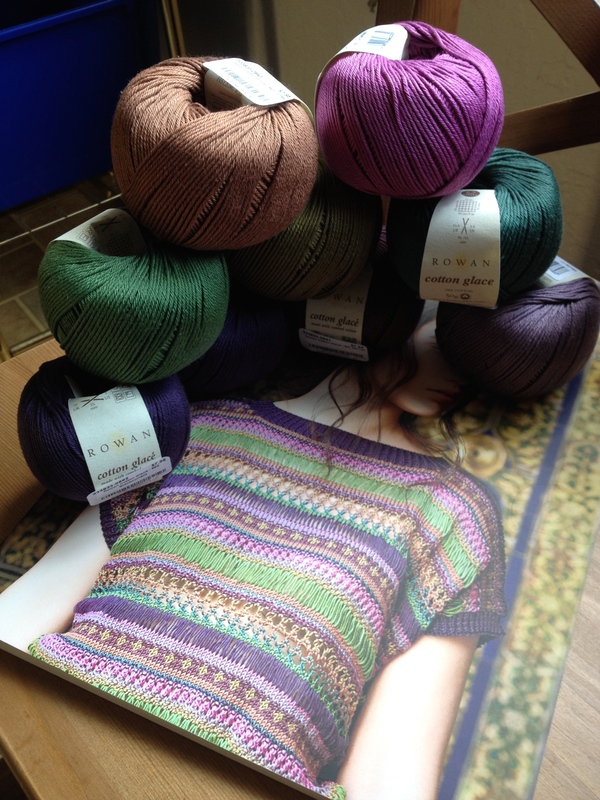 #iknitnyckal with SubwayKnits, CraftStash and Yarngasm podcasts. 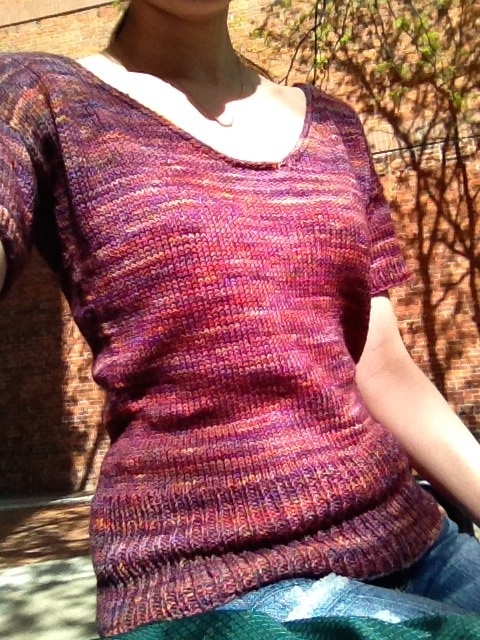 You can find more of Kristin’s yarn here! 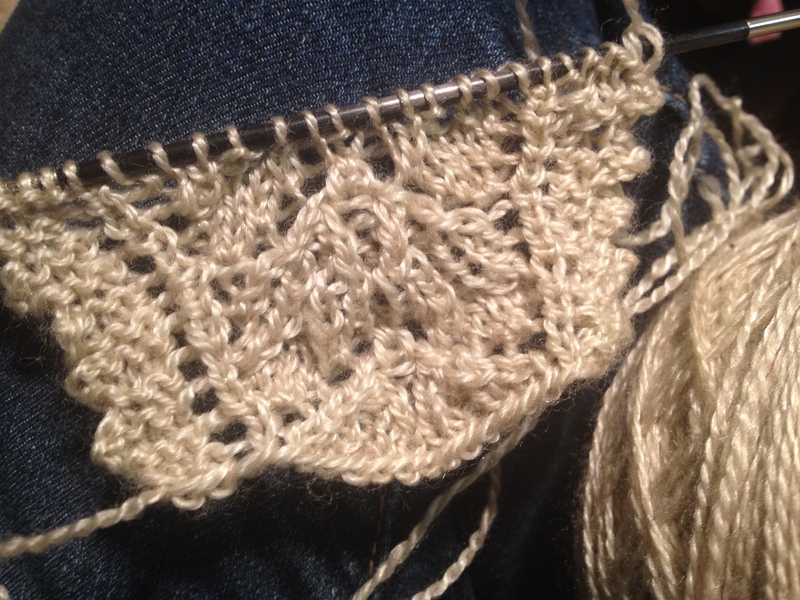 Using indie-dyed natural white 50% merino/50% tencel for the lace, and (if I ever finish the lace!!!) 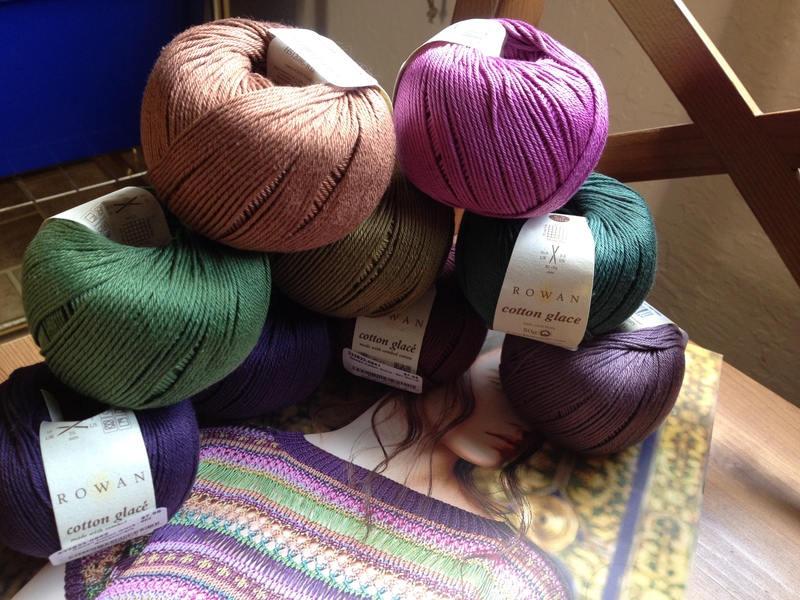 Malabrigo Sock in the Eggplant color. 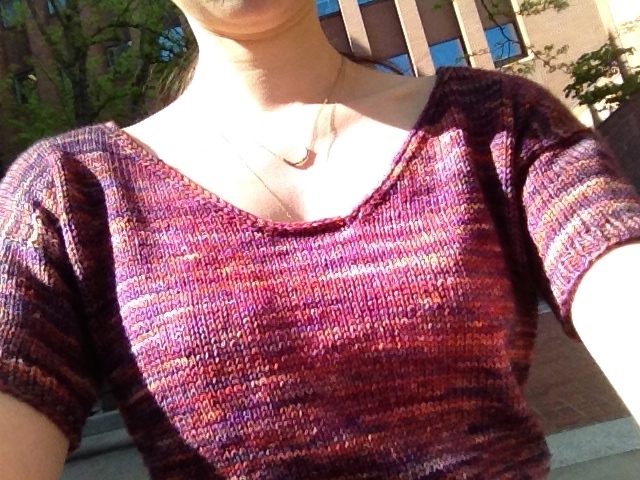 J.Knits doesn’t appear to be available anymore, but I did find it on Ravelry, so I was able to link my project. 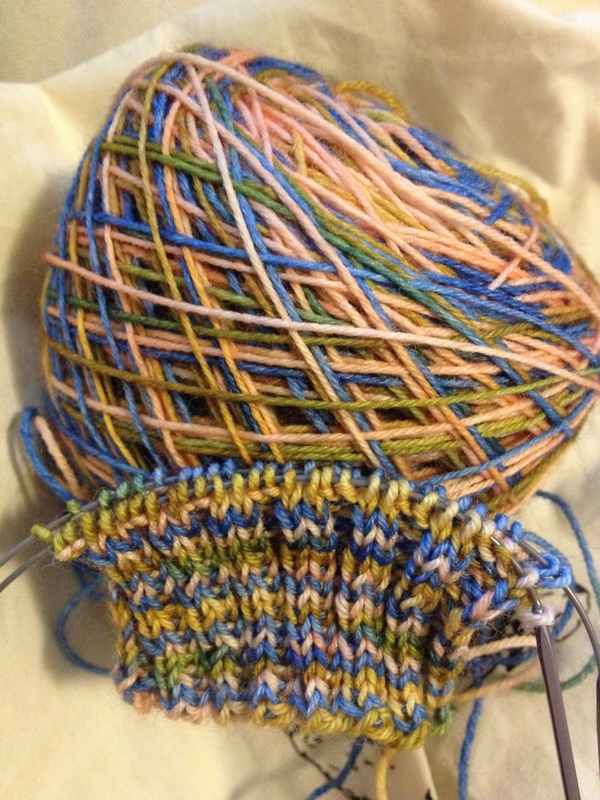 Here’s the yarn, and here’s the picture of the pattern – do they look the same to you?? Looking at these pictures I think they match a bit more, but I still feel like there’s a yellow-orange color missing! TTT (Tops, Tanks, and Tees) KAL with the Very Shannon Ravelry Group. You can sign up on her website; there is a link to all her KALs at the top of the homepage. Lemon Basil muddled with lime/lemon and sugar, add ice cubes, pour vodka over.